"The Senator" is quintessential G. Harvey. Washington, D.C. has always been one of his most popular subjects. 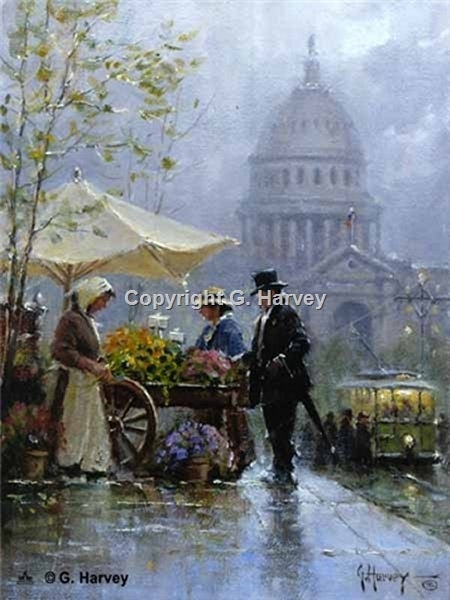 In this piece, he adds a flower vendor and a senator to the composition and backs it up with the Capitol. The colors are delicate and the mood is typical of his most adored paintings.